Ray La Boeuf is a cancer survivor. He was diagnosed with Squamous Cell Carcinoma in December 2003. In December 2004, when the cancer developed to stage 4, he contacted Cancer Treatment Centers of America. Nine months later he was declared cancer free and is still cancer free to this day. While receiving radiation Ray started writing his thoughts in a journal. He shared them with other cancer fighters and they encouraged him to write a book based on those thoughts. 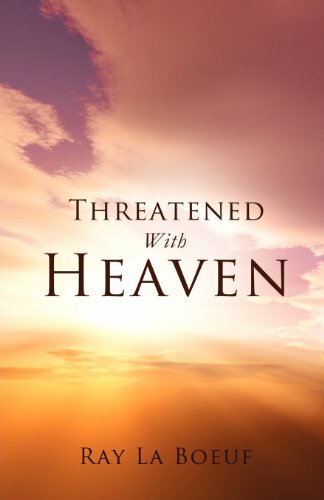 Thus was born, Threatened With Heaven - a book to encourage cancer fighters written by a stage 4, cancer survivor. Ray believes that, along with a good medical team, faith in God and faith in family are two key elements in fighting cancer. He believes that with faith in God, you can't help but have a positive outlook and with a family where the members have faith in each other you gain strength. As he points out, the Bible God promises he does not give you the spirit of fear but that He gives the spirit of love, of power and of a sound mind. His hope is you will be encouraged by this book and receive that promise from God as your own. Ray, his wife Cindy and their son Isaac live in Belle Plaine, Kansas. Ray retired from the Air Force in 2001 after 30 years of service. He currently works for a major aircraft manufacturer and is currently the Mayor of Belle Plaine, which he calls the best little city in America.